Editor's note: American columnist, Richard Cohen, has written on the schedule 2020 United States of America's presidential election. Cohen also highlights reasons Joe Biden and Bernie Sanders should not contest for the next presidential election in US. Charles de Gaulle said old age is a shipwreck, so the question for the United States is whether it should consider the age of likely presidential candidates who, statistics and experience tell us, stand a pretty good chance of foundering on the rocks of old age. I’m talking Joe Biden and Bernie Sanders. Sanders and Biden are about the same age. 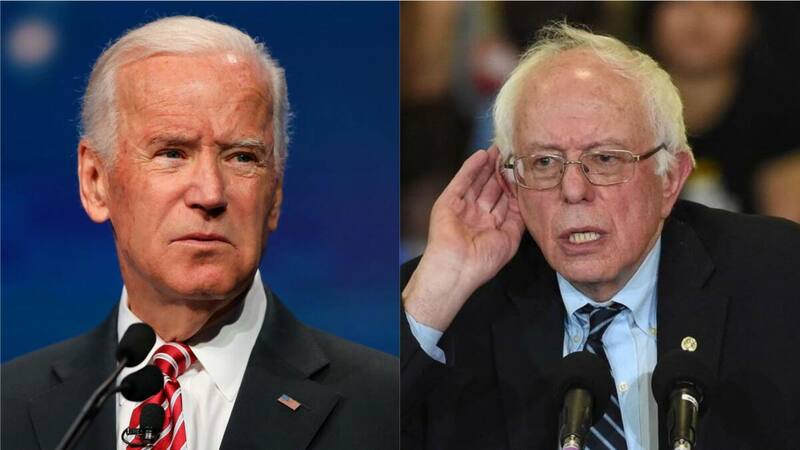 Sanders is 77, and Biden 76, and because the next president will be inaugurated in 2021, I can say without fear of persnickety fact-checkers that both men will be almost two years older by then. It is not unlikely, therefore, that the next president of the United States will be well into his 80s before his first term is up. That’s a shocking figure. Both men are now at about the age when the indomitable Winston Churchill started to hit the wall. He was a mere 77 when King George VI thought of approaching him to suggest he step down. Churchill did not - until a stroke forced him to. The argument here, of course, is that neither Biden nor Sanders lives a Churchillian life - no cigars, no whiskey for breakfast. On the other hand, they are not nearly as articulate. Government statistics tell us that a man Biden’s age will live an average of 11 more years. He won’t, however, outlive Sanders, who is scheduled to kick five months later. These, though, are statistical averages, and neither Sanders nor Biden is anything of the sort. They are both white, middle-class by birth and not likely to overdose on drugs, drive drunk or get into a bar fight with someone wearing a MAGA hat, the dunce cap of our times. I am not sure if Sanders works out, but Biden sure does. I have been to the gym with him. But while looking good may be the best revenge, it isn’t the whole story. The brain ages. It slows down. It forgets. I know men in their 90s - Henry Kissinger comes to mind - who seem as sharp as they’ve ever been, but they are not the rule. It is not necessary to have great mental energy to get elected - President Trump is an intellectual sloth - but it helps. Old age can turn the delight in doing certain tasks into a plodding burden. It’s fine not to know about these things, but it suggests an unfamiliarity with a world that is ever-changing. The zeitgeist is forever on the move. When you’re over 70, it may well have passed you by. Most presidents were in their 50s when elected - mere youths by today’s standards. Most lived many years after leaving office. (Jimmy Carter, at 94, has been out of office for 38 years, a record.) John F. Kennedy was the youngest ever elected at 43, and Trump the oldest to be elected to a first term at 70. The rule here is that there is no rule.